Well, looks like a huge, hulking demon almost akin to Goshinki was terrorizing Tokyo. 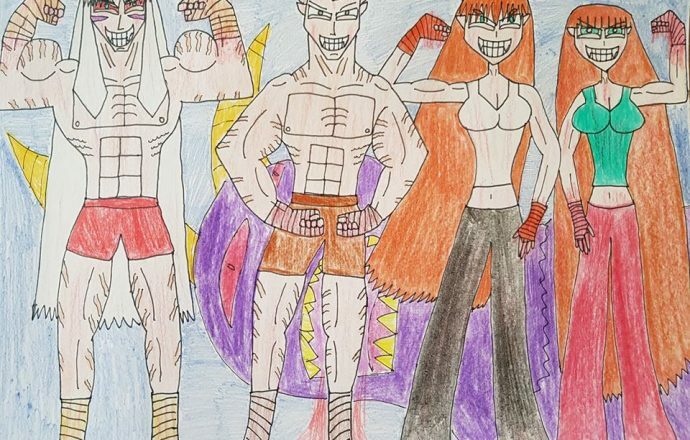 Never fear, dear citizens, Inuyasha, Ginta, Ayame, and Shunran are here to do the job, and, boy, did they give it a mega beating with their bare hands and claws, hence the bloodstains. That just shows you how strong this four-person team is, not only in terms of physical abilities but also in terms of relationships. One can even imagine their kids cheering for their parents akin to lines like these. Kenta and Keita: Go, Mom, Dad, Auntie Shunran, and Uncle Ginta! You showed that demon who’s boss! Plus, we wanna fight demons just like you! Minoru and Manabu: All right, Mom and Dad! You, Uncle Inuyasha, and Auntie Ayame were so awesome today! I also hope that we, Kenta, and Keita can form a demon fighting team of our own too, that would be great! Kaito, Momoko, and Maya: Oh, yeah! Sakura, Kokoro, and Sentaro: Woohoo! You did it, Mom, Dad, Uncle Inuyasha, and Auntie Ayame! So, once again, Tokyo is saved! 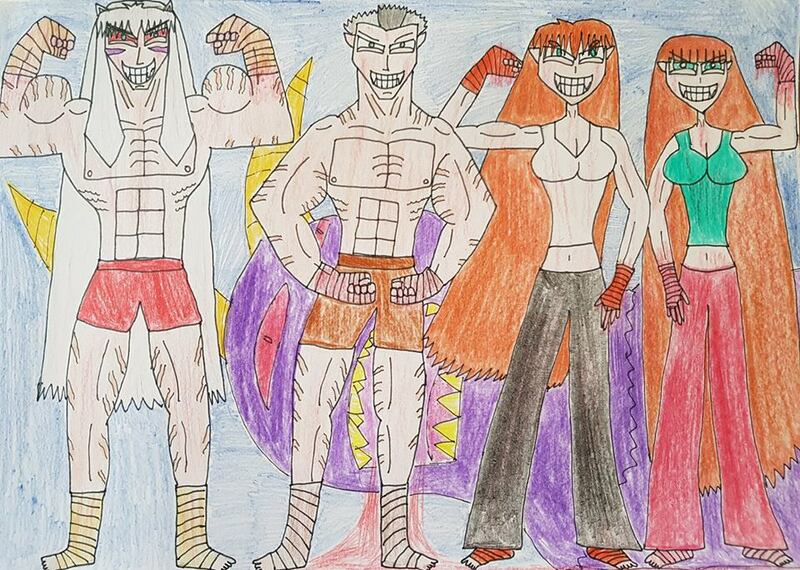 Thanks to Inuyasha, Ginta, Ayame, and Shunran also known as The Gallant Guardians!